Delightfully saucy, heartfelt, and passionate, these essays probe the place of art in contemporary life. 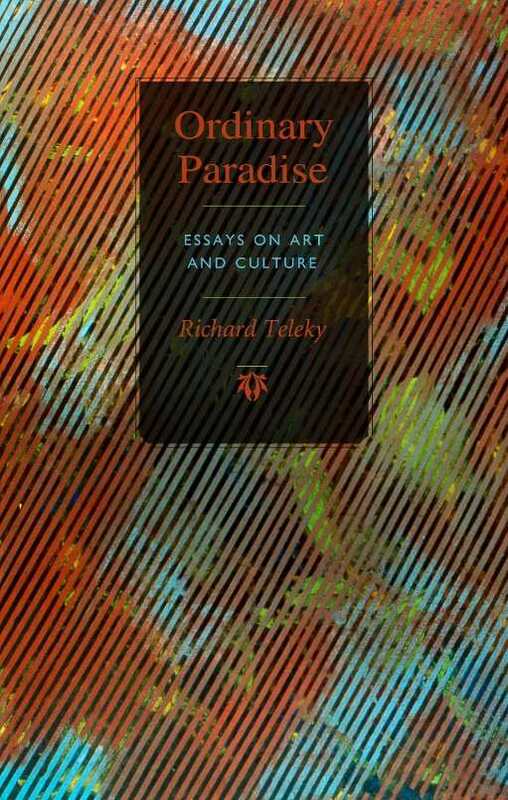 Richard Teleky’s Ordinary Paradise: Essays on Art and Culture is a deeply satisfying collection about the enriching presence of art, music, and literature in our daily lives. The title refers to the array of creative expression that is readily available in contemporary work and home environments, a paradise which is at once ubiquitous and fragile. As Teleky notes, all works of art are “vulnerable to the exigencies of time. They can be destroyed by misunderstanding, neglect, or censorship just as easily as by fire and water.” His essay collection means to help his chosen subjects avoid that fate. Each of the twenty-eight essays expounds upon a cultural topic, probing the backstories of some beguiling artists and their creations. They serendipitously meander through Teleky’s carefully parsed explorations and opinions of how different works of art fit into the context of cultural meaning. Teleky’s passion and enthusiasm are inspiring enticements to reread old classics like Madame Bovary or Don Quixote with a fresh perspective, and to seek out lesser known books by Marie-Claire Blais and Margaret Avison, visual art by Claire Weissmann Wilks and Diana Thorne, and music by Emmerich Kalman. The book begins with diverting essays about literary topics, segues into the visual and performing arts, and concludes with prose that digs into philosophical, but eminently approachable, interdisciplinary examinations of various movements (postmodernism, posthumanism, postheroism) in contemporary western culture. Along the way, Teleky winningly advocates for a selection of sorely overlooked artists (many of them from his adopted country of Canada), as well as increasingly out-of-vogue musical styles like operetta and classical piano. While some essays can be fairly cerebral, as with an analysis of the important work of literary translators and the critical role of solitude in artistic life, the writing is not ever plagued with esoteric critic-speak; instead, it is delightfully saucy, heartfelt, and passionate. Teleky often touches on his Hungarian roots and his personal connections to writers he worked with during his years as an editor with the Oxford University Press, Canada. Some pieces recount his more recent experiences as a York University professor as he marvels at or becomes exasperated with student preoccupations with pop culture, irony, and dystopian plots. Teleky’s accessible style and curious mind make him an excellent guide to all of the disparate ideas and artists he describes. He makes an impassioned case for greater appreciation of the artistic gifts we all enjoy, and the amounts of hard work, talent, time, and craftsmanship that go into artistic creation.